An unused postcard with age related wear, album marks on back otherwise in fair to good condition. Please study scans for condition. HEINZ TOMATO KETCHUP. THE SCAN & MANIPULATE IT ON YOUR OWN PC. UNUSED ADVERTISING. OVER 30 YEARS EXPERIENCE. WHAT YOU SEE IS WHAT YOU GET. WE ARE NEVER KNOWINGLY UNDERSOLD. NABISCO CORN NUTS. THE SCAN & MANIPULATE IT ON YOUR OWN PC. UNUSED ADVERTISING. OVER 30 YEARS EXPERIENCE. WHAT YOU SEE IS WHAT YOU GET. WE ARE NEVER KNOWINGLY UNDERSOLD. In the Robert Opie Collection. Cream Crackers. Coronation Series. Reproduced from an original. in a Board-backed Envelope. Advertising. Robb's Nursery Biscuits, London. Child Food. Has minor wear to the corners. Robert Opie Collection. 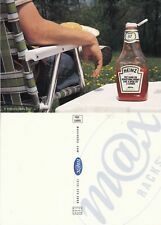 leaflet for Heinz Oven Baked Beans. HEINZ BAKED BEANS. Out of School Series. in a Board-backed Envelope. 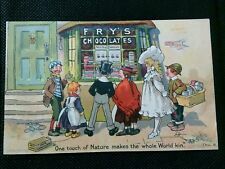 RARE ORIGINAL VINTAGE POSTCARD FOR COLMAN'S MUSTARD "TO KLONDIKE"
Size : 10cm x 15.2cm. Ambrose Heath, Jacket by Edward Bawden. Publisher: FF Faber. Debit Card & Credit Card accepted. Good condition - slight discolouration and marks. Slight corner/edge wear. West Front Brympton. Everything St Ivel is Perfect. Aplin & Barrett Ltd, Yeovil. Unused - printed c1914. small tear on top edge. Published by The Kingsway Press. Good condition. Slight discolouration. A little corner wear and small corner creases. Age marked on both front and back. Good condition considering the age of the card. Advertising. Phoenix Poultry Foods by Walker, Harrison & Garthwaite, London. THE SCAN & MANIPULATE IT ON YOUR OWN PC. COPY OF A 19th CENTURY FOOD TRADE CARD. ALL SENDINGS ARE IN FULLY PROTECTED BOARD BACKED ENVELOPES. OVER 30 YEARS EXPERIENCE. WHAT YOU SEE IS WHAT YOU GET. Ref: 01CH22. Great for school or university projects. NICE CONDITION / PIN HOLES ALL FOUR CORNERS AND RUSTING MARKS. 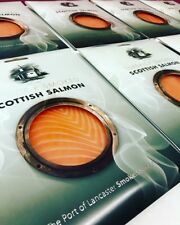 Why not try our Smoked Salmon as a delicious breakfast treat with a poached egg. The finest salmon dry cured in natural Cheshire rock salt and smok ed traditionally over oak for 12-18 hours. Of which Sugars.